We had a great time shooting Stephanie and Brian's beautiful wedding at the West Hills Country Club. This image was taken toward the very end of the night and is one of our favorite from the day. Thanks to the amazing coordinators of the vendor, it was a breeze organizing friends and family for this sparkler photo. It is absolutely crucial for the photographer and couple to set up some time before the wedding to go over the wedding day timeline. Not only does this provide peace of mine on both sides, but this also makes both photographers and bride think about where the importance should be given on the big day. Granted, things are quite hectic one or two weeks leading up to the wedding, but making the time to discuss a plan of action goes along. 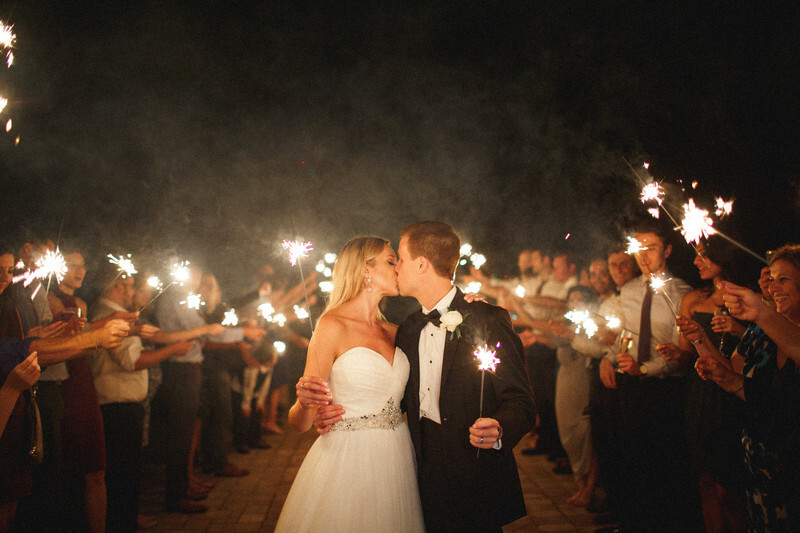 When we set up a call with Stephanie, she expressed her interest in getting some sparkler send a photos, something that she had seen recently, and became very fond of the idea. We often ask interested brides to make a judgment call on this issue. If they feel the whole process is going to be a disruption, then it might not be such a great idea. In Stephanie's case, however, she was quite keen, and had already discussed the plan with the venue manager and day-of coordinator. Hence, with the right planning, and a very helpful coordinator, it didn't take us much longer than 10-15 minutes to get the friends and family in line, get their sparklers ready! Location: 121 Golf Links Rd, Middletown, NY 10940.